We strive to make sure that your story is told and understood. Our family lawyers pride themselves on their empathetic, practical and efficient approach to resolving family law matters. Honesty is essential in building trust and trust is vital to fostering meaningful working relationships. Through treating people with respect, we aim to build meaningful relationships. We value and take responsibility for our work and our relationships with clients and colleagues.  What makes Equitas Lawyers different from other Law Firms? Our determination to deliver the best legal services, with the highest quality advice and representation when addressing your needs. We are your trusted advisors, providing to private individuals, SMEs, large corporations and not-for-profit organisations in Western Australia and overseas since 2009. We walk alongside our clients for whatever legal situation they may find themselves in, while providing sound and pragmatic legal advice. We honour the trust and confidence our clients have in us by always being frank in our advice, transparent in the way we work, and commitment to finding the best outcomes for you. We are proactive in our client communication and work with you to resolve the issues. Our strengths lie in employing and working with talented and extremely skilled people from a wide variety of backgrounds and experiences. United by a passion for the law, care for our clients and excellence in service, our dedicated team of solicitors and external barristers at Equitas Lawyers will provide prompt, excellent and commercially focussed legal advice and representation. When Equitas Lawyers was established back in 2009, Martin Tuohy, Executive Director of Equitas Lawyers, brought a modern philosophy to table. He wanted fair representation and excellent advocacy for everyone at an affordable price. He believes that fairness, equality and justice should be available to people from all walks of life. Along with Martin’s vision, and specialist staff, Equitas Lawyers provide the knowledge on various fields of law. Perth Law Firms are competitive; however, we excel in delivering exceptional services and are determined to achieve the finest results for our clients. We offer advice and the most effective methods for you to deal with issues such as banking and finances, settling entitlement rights, achieve just representation in court and so much more. We pride ourselves on providing the highest level of service to meet our clients needs. As our accumulation of experiences and understandings of the law is what pushes us above other firms in Perth, WA. Martin Tuohy: Founder of Equitas Lawyers, has experience practicing Law in both New Zealand and Australia. He has been accepted into the Supreme Court of Western Australia, New South Wales and Victoria, as well as the High Court of New Zealand. Martin brings to the table everything you need in a Lawyer and Executive Director. With a warm smile and understanding, he welcomes all clients; from Personal Disputes to Business Litigation. Josephine Byrne: Completed her Bachelor of Law at the University of Western Australia (UWA), as well, a Bachelor of Arts (Hons) at UWA and The University of Adelaide, a Graduate Diploma of Legal Practice at The College of Law WA and a Graduate Diploma in English (Journalism) from Curtin University. Josephine has a strong interest in criminal law and has experience in jury trials and appeals, she is an excellent choice for Litigation Lawyers in Perth WA. She prides herself on helping all her client’s needs with advice and expertise. Eloise Barker: Joined Equitas Lawyers in 2016 as a Junior, working under the guidance of Martin. She now has a wide understanding of law, specifically helping in matters of Criminal Law and Violence-Restraining Orders. Eloise has a deep understanding of current law after graduating with a Bachelor of Law from Murdoch University in 2016. Clarissa Quek: Our Associate has been with us since 2010, while undertaking a Bachelor of Law (Hons) and a Bachelor of Science (Psychology Studies), and now taking on the role as a qualified Lawyer. Clarissa focuses mainly in Commercial and Business Transactions, Property, Wills and Estate, and Family Law. Clarissa has a Diploma of Legal Practice from WA College of Law and is currently undertaking a Master’s in Applied Law. She is recognised as a great Litigation Lawyer. 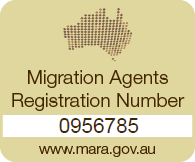 Mayo Tuohy: A registered Migration Agent (No. 0956785) with a Master of Professional Accounting from Curtin University and a Graduate Certificate in Migration Law from Murdoch University. She is the perfect partner to help you with issues regarding Migration Law. Our entire team is equipped to help you with a range of legal matters. We are dedicated to providing the best outcome for you in all your legal matters. Our Perth Lawyers are recognised across Australia and internationally, as we promise to deliver the highest quality legal representation. Commercial Law deals with Transactions, Ownership of Property, Business and Rights, and Entitlement in Commerce. Commercial Law shifts with everyday changes, therefore our Commercial Perth lawyers understand both the principle and developing concepts of commercial law. Our team is dedicated to making sure our clients understand the proposed contracts, act as a sounding-board, offer a second opinion, examine clauses and draft complete commercial agreements. Our experienced Commercial Lawyers in Perth WA comprehend Commercial Law on a superior level. Litigation lawyers protect your interests when facing Commercial, Personal or Criminal Disputes; with expertise in all fields. In Commercial Law, regardless of whether you are presenting or defending a claim, our litigation lawyers will present your side of the case aiming to get your most favourable outcome. Similarly, in Criminal Law we pursue the best outcome for our client. Our Lawyers have an advantage with Litigation, and Contemporary experience dealing with Litigation disputes. Our litigation lawyers will work tirelessly to provide the best outcome for you.